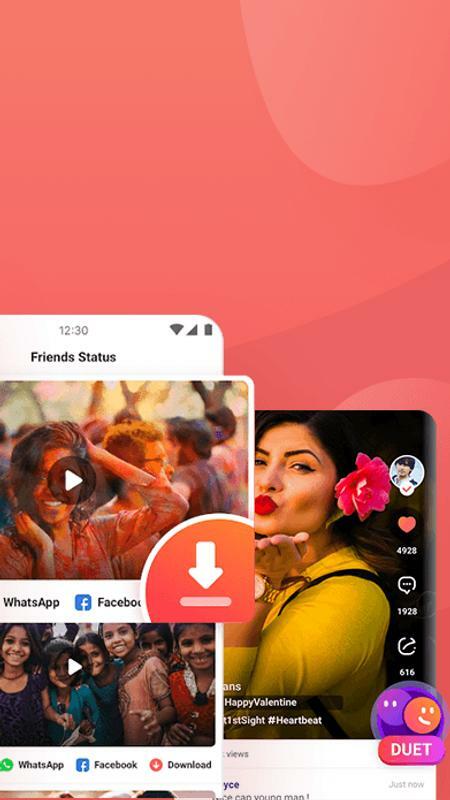 VMate Status 2019 is a video platform with rich and interesting video status, you can share and watch Whatsapp status for free, and you also can download and save videos songs for free within a few seconds. 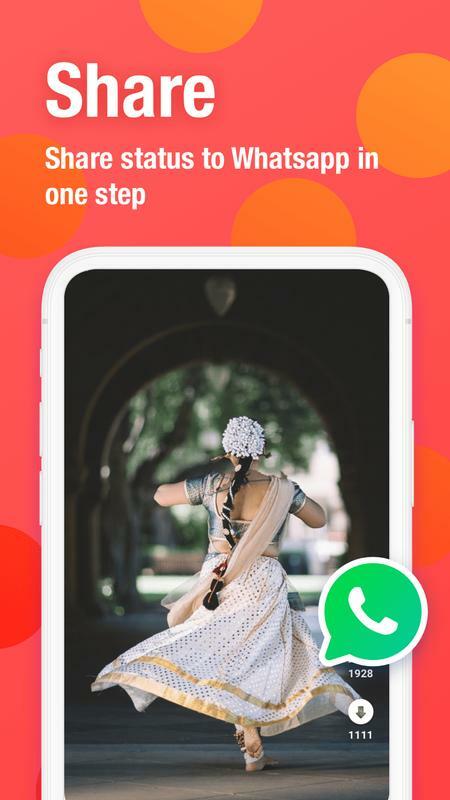 VMate Status 2019 is India's best free short video app to watch, download, and share trending videos for whatsapp videos. 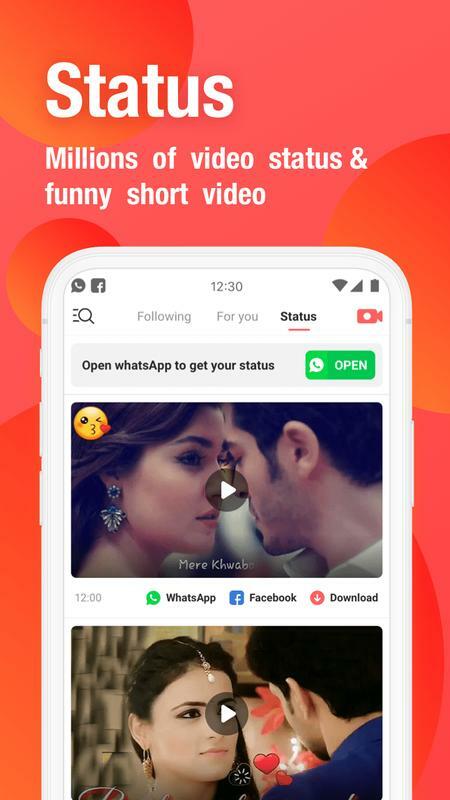 In VMate Status 2019, you can watch free Indian video songs status, the hottest love videos and trending videos of jokes, sports, news, and status videos. 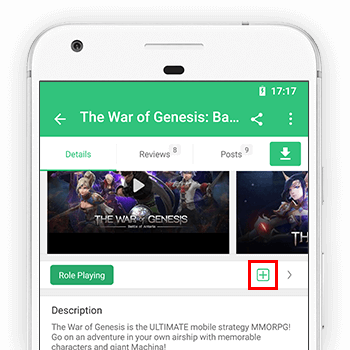 VMate Status 2019 also supports SNS for video fans. You can follow your friends and chat with them across India. 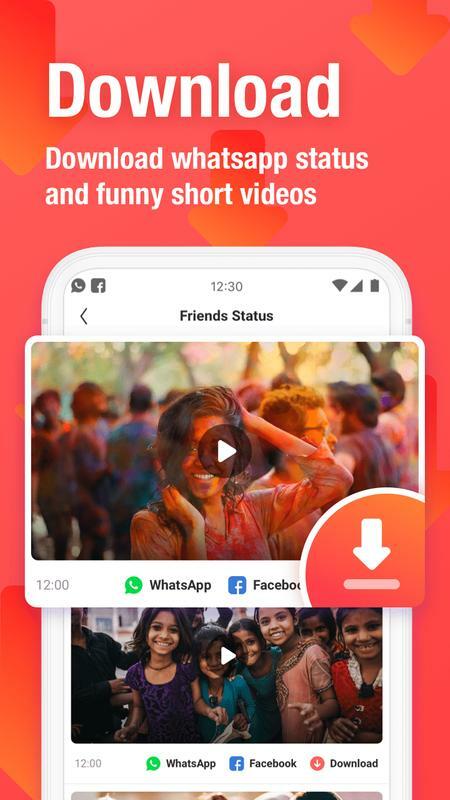 You can also download and share your favorite video for WhatsApp, Facebook, Instagram, Twitter. 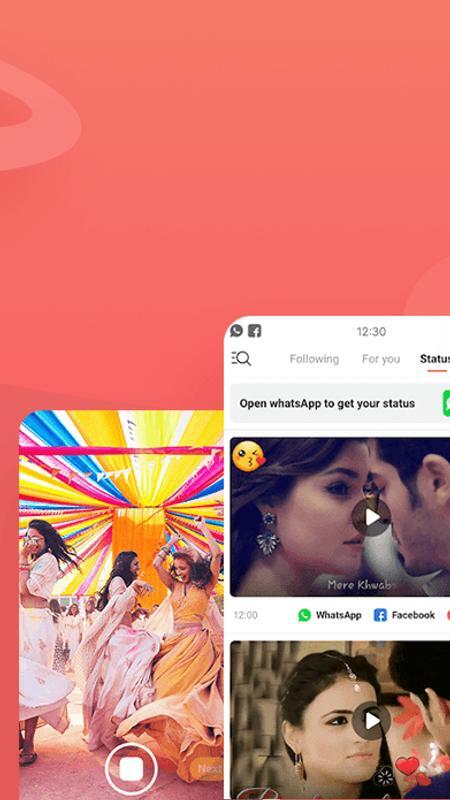 You can watch videos from Bollywood hot star movies, funny videos, whatsapp videos and music videos, and share to your friends in one step. 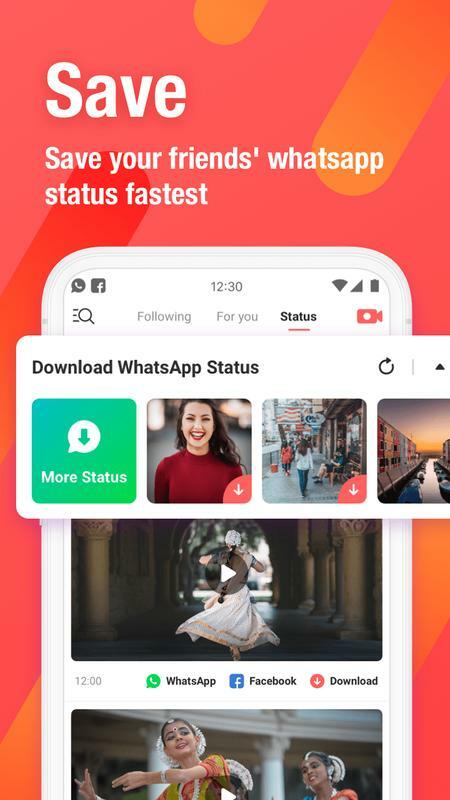 VMate Status 2019 can help you download Whatsapp status videos, and if your friend update whatsapp status, you can get new status at once. 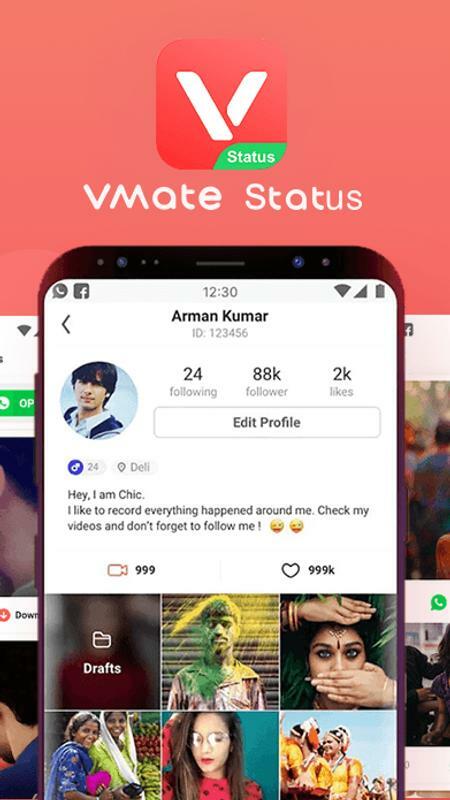 VMate Status 2019 can recommend to you the latest, hottest and the most exciting videos content based on your interests. The latest videos of both music, songs and clips of Indian cinema and TV ads. Get latest hot star updates on Bollywood movies and songs. -Get new friends’ status at once, and download it.